The other day I found a complete set of the 1968 Cordon Bleu home course for sale online, and of course bought it immediately. It was designed by Rosemary Hume (founder of the Petit Cordon Bleu in the 30’s in London after she attended the Paris Cordon Bleu) and Muriel Downes, director of the school in the 50’s and 60’s. The course was organised over 72 weekly supplements, and I intend to do them as planned. Every Friday or Saturday night each week. I love the idea of this as it gives me something to look forward to and plan. We started two days ago and the menu was superb. Where has this potato cake been all my life? It’s ridiculously easy, beautiful to look at and just wonderful to eat. Julienne the potatoes (not long before, only when you’re ready to actually get going. You need starch for this to work, so no soaking!) Dry them. Generously butter a pan that can go in the oven. Press the potato strips into the pan. cover with a lid and give it a decent little fry on the stove top (5 minutes or so worked for me) to brown the bottom. Remember later you’re going to flip this over as with a tarte tatin (which means you can also make it fairly pretty if you have the energy to arrange potato slices.) Then put it in the oven for 30 to 40 minutes at 180º ish. Half way through pull it out of the oven and press down with a spatula so it all compresses into a proper cake. If you want the exact recipe, let me know and I’ll scan it and put it in the post. Also in cooking I got Madhur Jaffrey’s Illustrated Indian Cookery, she’s my favourite for Indian food. And finally Edouard de Pomiane’s 1969 La Cuisine en 10 Minutes. Available in English as Cooking in 10 Minutes with a preface by Raymond Blanc. Every student, and to be honest every household should have this. Both are fab. Our best food days are never with guests 😀 That probably sounds awful, but it’s true. For guests I stick to straightforward, easy food. I am glad you found a weekly ritual involving food! Please keep sharing. Many moons ago I was terribly intimidated by Indian food, but it was precisely watching Madhur Jaffrey which gave me the nerve to give it a try. It’s certainly more complex than other cuisines, but that’s mostly to do with layering flavours, rather than a complicated succession processes (like fine French cuisine.) I’ll have a look and come up with something easy for you to try. Thanks for that! I always like the way you organise your recipes. The potato cake looks like a baked version of hash browns, the cooking of which is a required skill for short-order cooks in greasy spoons — excuse me, coffee shops — all over America. They’re too good, especially if you add some onions. I’ve always eaten them with eggs, but with chicken, hmm, sounds excellent.I see a additional kilo in my future…. I still have the Cordon Bleu set….I remember how it livened up our meals and how good the instructions were. I will hunt it out again, I think. Fellow students in our dingy digs – the Flattleship Potemkin – desperate for more than boiled eggs and Fray Bentos steak and kidney pie appealed to their mothers for recipes from home, thus an introduction to varied styles of Indian food and stuff from the north of China….and an introduction to the places to buy the ingredients. Not in the least surprised you have this, Madam 🙂 The instructions are the best EVER. The way they lay everything out from the night before to dinner party organisation by hour starting at 5pm with serving at 8 is just perfect. Took all the nerves out of the process….but looking back, how having people to the house has changed over the years. Then everything had to be just so, the food ‘interesting’….whereas now the conversation is more important than what is on the table so unless I have a rush of blood to the head the meals are pretty simple. I have de Pomiane too…but not the 10 minute one…makes enjoyable reading apart from the recipes. I love potato cakes. Potatoes, in general, are an ultra fabulous vegetable. I’ve organised a network of volunteers to sneak bacon into your potato cakes. This has been going on for two years now and you still haven’t noticed. Surprise! This would be possible only if I were an American, as potato cakes round these parts have no gritty bits of gristle – I’m afraid they have all been lying to you, but to be fair to them, I do pay them far more to add wee to all your drinks. I remember Anjum Anand from tv. She’s fantastic. It was something like easy Indian or quick Indian, wasn’t it? She’s actually probably better for people to start with than Madhur. I’ll wait until the photos and reviews are in to judge that. Could be a significant project. Document well and you could turn it into a movie deal. Maybe get Alex French Guy Cooking to help. Fun! I do so love a fabulous meal. Do you like Fanny Craddock? She’s my favourite and most of what she did was based on Escoffier. I’ve never heard of her. Off to Google! And when you think his watchword was ‘faites simple’…. Madhur Jaffrey is good. I recommend her Indian cookbooks to all those who want to learn how to cook authentic Indian food. Most of what I know how to make has no recipe so it is always difficult for me to give people a recipe, but someone gave me her book as gift one year and I loved it. Because it explained techniques in a way that made me understood what they were actually for, and thus I was able to expand my repertoire quite a bit, and also learn many recipes that I hadn’t been taught from my dad, but are things I ate regularly growing up. I think she changed the way the British saw Indian food – showing it was something much more interesting and refined than *takeout*. 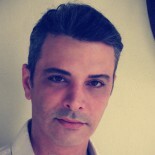 Me, me, me! The Offspring doesn’t like potatoes but I do so this sounds like something we could both enjoy. Just added a scan of the potato recipe to the post 😀 Better late than never! The julienne potato cake looks good, so I will try that. I was hoping to make it tonight, but I was tired and so we had frozen mashed potato instead. Shocking I know, but my mash is always lumpy, and using a potato ricer is messy. Madhur Jaffrey is wonderful, I have one of her books that is well used. Enjoy your cooking. Oops, missed this comment 😀 have you tried the potato cake? If not I’ve just put the whole recipe in the post. I love my Pomiane books – he’s so precise in his instructions, and even though the books are totally outdated (put a pan of water on the stove to boil, before you even take of your hat), the why’s and how’s are still as valid as they were then. Another good one is “Cooking with Pomiane”, if you come across it! Well done for starting on the cordon bleu course, it’ll be fun!! 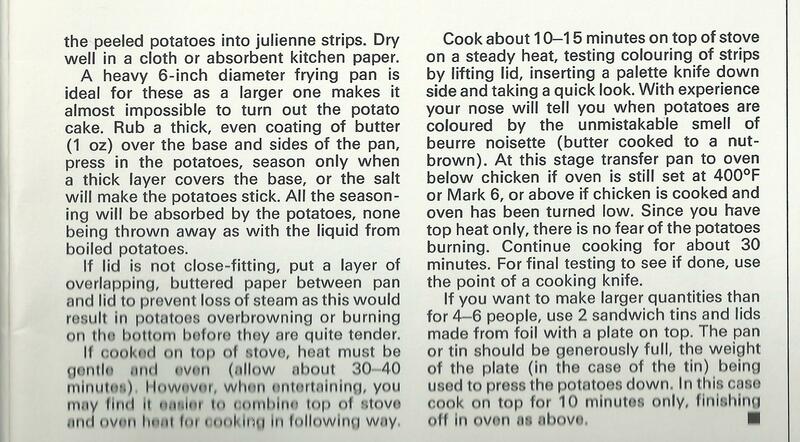 I am searching for the cordon bleu recipe for chicken veronique with the julienne potatoes. Would like to cook Mum’s family favourite recipe from my childhood on a special occasion. Please could you photo the original recipe? Just added the recipe to the bottom of the post itself. Just right click on the image to print. I also added the recipe of the potato cakes, just in case. They go very well together. 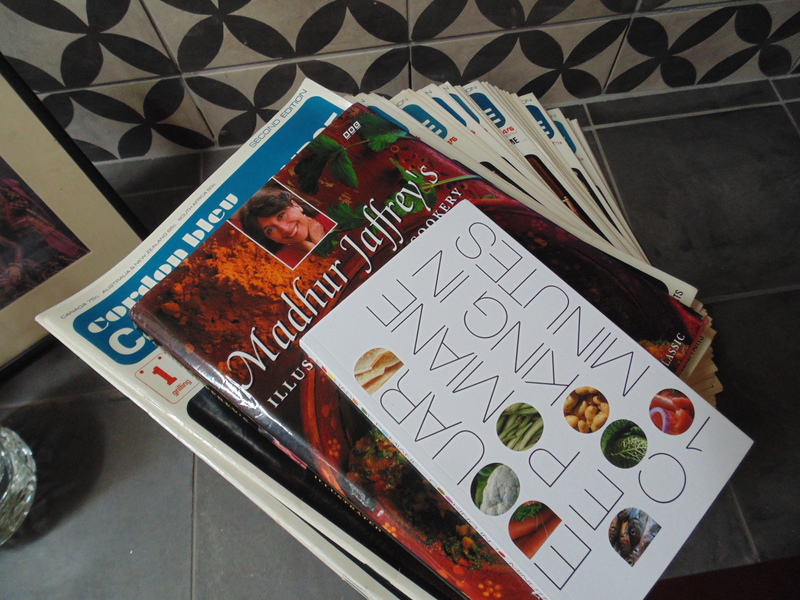 Madhur Jeffrey book is on my cook shelf. Indian cookery is a little complex by it’s simplicity..All in the spices and being very patient. This entry was posted on September 10, 2018 by The Pink Agendist in food, Mazamet, thinking aloud and tagged cooking, cordon bleu, edouard de pomiane, fall, food, madhur jaffrey.